A Villager taught how to bind straw in sheaves to a participant. The 5th class of ABC in a Rice Paddy in this year was held on October 17th  18th with 29 people, including students, business persons and families from metropolitan area. This time, university students occupied a half of the group. 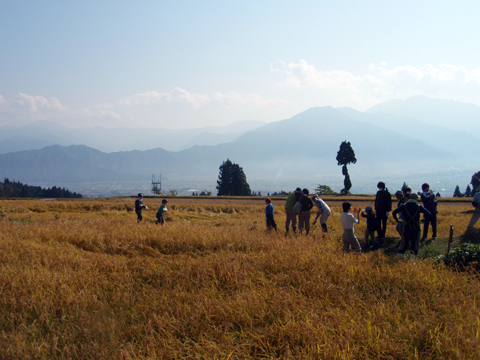 On the 1st day, participants listened to the lecture by villagers and joined Tochikubo ecology research. 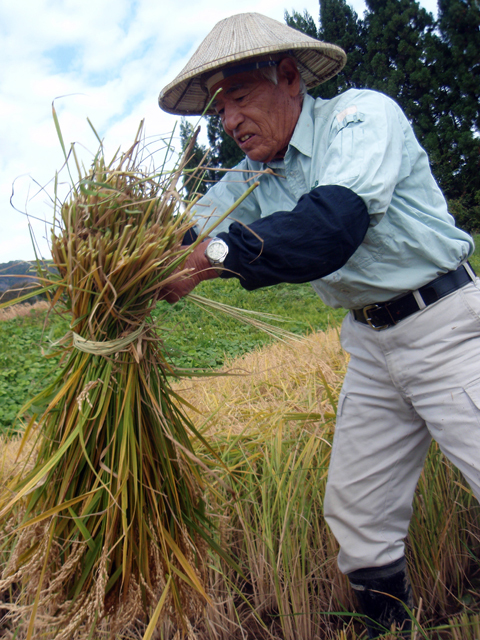 On the 2nd day, they harvested, bound, and hung rice under the blue sky. People work under the blue sky.